Well, well, well, another spin around the sun and here we are...2 years since we opened up the Cellar, long time in venue land, went quick because of the amazing times we’ve had. Thank you Sydney for showing up, thank you Australia for drinking the wines and ... what better way to bring it in than a hoe-down with some serious hitters. Turn up. Show up. Let’s have a time. Amp Fiddler (Live) - A Detroit native, Joseph “Amp” Fiddler was brought up a Jazz musician in the golden age of the Motor City. His exceptional command of composition has afforded him work with audio luminaries ranging from R&B, House to Hip Hop scenes and he boasts an irrepressible resume of collaborations with the likes of J Dilla, Prince, Moodymann, Theo Parrish and critically acclaimed releases on mainstay labels like Mahogani Music. With zero underestimation of the presence of this man we are honoured to be able to host Amp Fiddler in 2018. 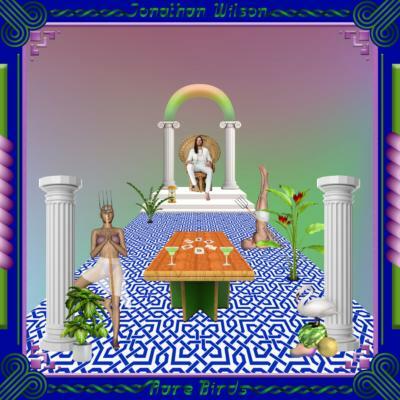 Rare Birds by Jonathan Wilson is out March 2nd on Bella Union via [PIAS]. We had this long chat with Jonathan Wilson about the album, his music, his recording studio and his collaborations.